Sonny Bill Williams is doing what he can to help. 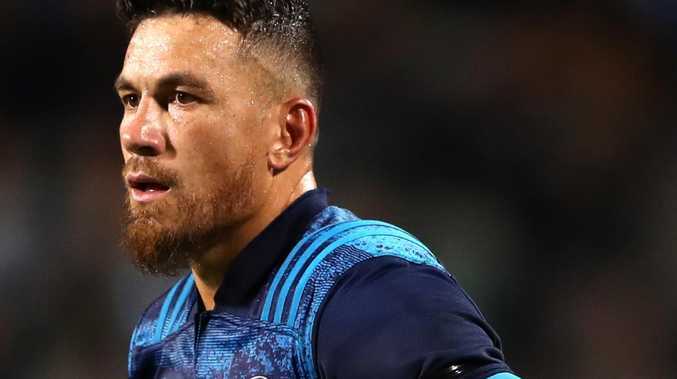 SONNY Bill Williams, an inspirational captain for the Blues recently in their first win of the Super Rugby season, is not available to play the Highlanders at Eden Park on Friday. Instead, the proud Muslim, profoundly affected by the acts of terrorism in Christchurch last Friday, will travel to the city in order to fundraise for, and offer his support to, his grieving community. Williams recently posted a video on social media during which he was in tears and his decision to travel south rather than continue training in Auckland will receive the full support of his franchise. His absence will count as one of his All Black stand-down weeks. All top All Blacks are required to have two weeks off - not counting their team's two byes - in order to try to preserve their mental and physical wellbeing in this World Cup year. "Thank you everyone for your kind hearts," Williams posted recently on social media. "We will be in Christchurch later in the week to show love and give donations to the Christchurch Masjids (places of prayer), for the people affected in this tragedy. My heart is heavy, please don't stop showing your support." Williams' arrival in Christchurch will be significant on many levels, not least because the former Crusaders player lived in the city during the earthquakes of 2010 and 2011. Arriving from France, he played for Canterbury and then the homeless Crusaders during their run to the Super Rugby final so he knows only too well what the community went through during those difficult times. In his video posted to social media last week, Williams broke down as he said: "Just heard the news and I couldn't put it into words how I'm feeling right now. Just sending my duas to the families. "Just sending out my duas and Inshallah everyone that's been killed today in Christchurch your families you can take. Just my duas to your love ones. Inshallah you guys are all in paradise and I'm just deeply, deeply sad that this would happen in New Zealand." The 33-year-old midfielder and father of three admits he has matured significantly as a person and a leader while at the Blues over the past couple of years and his influence during his team's 28-20 victory over the Sunwolves at North Harbour last week was hailed by his coaches and teammates alike. Not only was it the Blues' first victory of the season after three defeats, it was also their first match in Auckland following the sudden death of prop Mike Tamoaieta, and a game held on Tamoaieta's home ground. 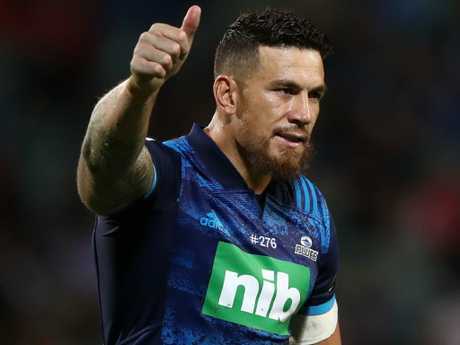 The Blues had a bye at the weekend and will face a Highlanders team this Friday who had their match against the Crusaders in Dunedin called off due the terror attacks which resulted in the deaths of 50 people and injuries to another 50. Williams will have an obvious replacement for the No. 12 jersey in Ma'a Nonu, the former All Black who hasn't played since starting for the Blues against the Jaguares in Buenos Aires on March 3. Williams' start against the Sunwolves was his second in four games - he was a replacement in the other two - and while a little rust remains after his injury problems of last year during which he could never put a good run together, his leadership, carries and offloads became more influential as the game wore on. Rugby is taking a back seat for Williams. Afterwards he spoke of the need to keep going: "I just want to keep playing," he said. "I know at the All Blacks I think we have a stand-down period or whatever it is but I just want to keep playing because it's been a long tough road the last couple of years so it's good to get some minutes under my belt." Williams, one of the hardest trainers in the game, would have liked a game last weekend but for the Blues' bye and now the profoundly unsettling attacks in Christchurch have drawn him there. Over the past few years he has often stated that rugby isn't the most important thing in his life and here it is proof positive.